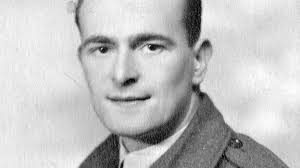 Morning news broadcasts were dominated by two stories ( this Wednesday )— one, the sad revelation that wartime RAF hero and peacetime campaigner Harry Leslie Smith had died aged 95. The other, a Treasury report probing a future post-Brexit Britain, released by slippery Chancellor Philip Hammond. Smith has reflected on the abject poverty he grew up in, before serving in the war against fascism and voting Labour in 1945 to end squalor, ignorance and disease. He recognised that the NHS and social security system established then is threatened by capitalist austerity, which he understood was a political choice not an economic necessity. Smith told younger people what was at stake, stressing he didn’t want his past to be their future. Having seen columns of wartime displaced refugees, he resolved to speak out in support of refugees’ rights. Smith looked to the past with a view to improving the future. Hammond, on the other hand, confects a tendentious Treasury-divined future with a view to subverting the votes of the biggest ever majority posted in Britain. Guess what? The arch-EU remainer Hammond prophesies that, however Britain leaves the austerity-embedded bloc, the economy will prove weaker than if we had remained in the EU. As a little crumb of comfort, the Chancellor could declare with hand on heart that the bogus Brexit deal cobbled together between fellow Remain zealot Theresa May and the EU Commission was the best on offer, leaving Britain’s economy only slightly worse off than the status quo. Leave aside the reality that Treasury forecasts about the EU have been so inaccurate, as George Osborne’s Project Fear fantasies illustrated so clearly. Even voting to leave the EU would set the pound tumbling, house prices tanking, and unemployment soaring, leaving any chancellor no choice but to bring in a punitive emergency Budget to slash public spending, cutting essential services and pushing the jobless figures skywards. On what basis could Hammond declare that May’s EU deal would be better than any other? Because May and the EU Commission have proclaimed their bogus Brexit scheme the best and only one on the table. It transpires that Hammond’s post-Brexit exercise relates only to expected international trade levels, but there is more to the economy than that. Economics is not neutral. Computer models tend to produce results dependent on the data fed into them and the chancellor can be relied on to have operated within orthodox neoliberal guidelines. Tory apologists once again state authoritatively that, as with Osborne’s deluded vision, the working class and the poor will suffer most from Brexit, but that depends on the government’s approach to the economy. With a socialist PM and chancellor, the policies they propose would differ from those of Hammond-May and would tend to benefit working people and the poor. The Hammond-May approach is essentially a form of bullying, based on pulling rank over their supposed economic know-how and ordering the peasants to fall in line. Smith had a way with bullies, having been told: “Harry, brave young men died so that idiots like you would have the freedom to spout your rubbish. Be more respectful” in response to his observation we should wear our shame rather than red poppies because we have learnt nothing since 1918. Hammond and May should be told in similar terms to drop their dictatorial efforts to force us to accept their dodgy deal.